The 3rd Worldwide Photowalk will be happening this Saturday, July 24 and I am hosting one of the walks again. The walk will be held at Bonifacio High Street. Also, make sure to check out the official page because I posted some reminders on what to bring there. While preparing or reading up for the walk, there are a couple of things I’d like to share with you. There will be a Lightroom 3 Workshop that Scott Kelby will be hosting. Watch out for more details on his blog. In the main photowalk site, there are promotions for the walkers. One of them is – $15 off a NAPP Membership! That’s a pretty sweet deal! Just use the code PWALK10 when signing up! Finally, make sure to read the FAQ page. That’s it for now! 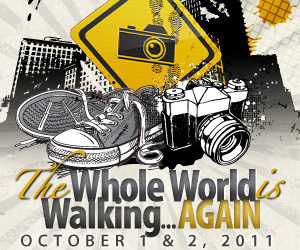 I will be posting details on how you will upload your photos during the walk. It was a touch decision… it was down to the 2 images: Anne Roque’s “Wait” and Melvin Casterence’s “Through the Years”. I tried to put myself in their shoes, how they took the shot, the composition, etc. And ultimately, I had to pick one. Note, click the image above to see a higher resolution of the photo. Anne, congratulations on winning! You get a free copy of Scott Kelby’s Digital Photography Book, Vol. 3 . For those who want the book, check out the link. You can purchase if for $15 at amazon.com. Just a cool fact before I start — I can’t believe that there’s 27 walks in the Philippines this year! Last year, we only had 1: the one I led. This is just an amazing growth! I realized that our meeting place is in an uncovered area! So, in case the weather is bad tomorrow, our meeting place will change. I will meet you guys at the Starbucks area in Greenbelt 3, between Starbucks and Cafe Havana. Btw, in case you’re bringing a car, weekend rates at Greenbelt Parking is P45. I think this applies to all Greenbelt Malls. Last time I parked was at Greenbelt 5 and it was a flat rate on a weekend. I also ran across some tips on what to shoot (from Laurie Excell). This is very applicable for us tomorrow. Get your gear ready. Charge your batteries! That includes both your camera batteries and your batteries for your flash (if you’re bringing one). Make sure to clean your lenses too! Empty out your memory cards. You don’t want to go there with a full memory card. You might not be able to take a lot of photos. 🙂 If you have backup or spare memory cards, bring them as well. Wear comfortable clothes, and be ready to bring a jacket in case it rains tomorrow. Be there early so we can still talk and I can brief you guys on what will happen. After the walk, we will all be going to Seattle’s Best. We’ll enjoy a cup of coffee (for some reason, it’s always nice to drink coffee and watch the rain fall) and share our photos/experiences with each other. Thanks to all who gave their feedback on our venue. Oh, and on the day before the walk, Scott is giving away a freebie to everyone: 1 month free access to Kelby Training Online! This just sweetens the whole experience of the whole walk! You can now enjoy learning Photoshop, Lightroom and Digital Photography from the experts by accessing the training anytime you want! In order to access this, you have to login to our Photowalk Location Page. Right now, the code is still not there, but I will let you know once it’s there. And if I may leave one final message — I know you will all be competitive (because of the prizes) in taking photos. Just don’t forget that the overall spirit of the walk is for us to be with fellow photographers and just have a great time! Get ready for Scott Kelby’s 2nd Annual Worldwide Photowalk on July 18! Before the big day, I’d like to share with you some details about our walk. Our walk will be at the Greenbelt Park (Greenbelt Mall) in Makati. Don’t worry about permits. I have secured a permit for our group to take photos there. We will be meeting at 4:00pm by the fountain across Starbucks Greenbelt 3. We will then walk around the Greenbelt area, starting from the garden/chapel, go up the Greenbelt 3 to 4 walkway, walk to Greenbelt 5, and then go around Greenbelt 1 & 2. We can take photos of the buildings, the pond, the garden, people, etc. 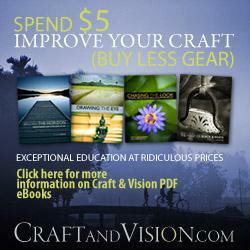 Since Greenbelt has a policy, we can shoot everything I mentioned EXCEPT the store fronts and displays. This is against the store policy so please make sure to follow this. Finally, we are a big group; there’s 60 of us. When we walk, we should just be in small groups. I don’t know the limit yet on the photos that you guys will submit. However, there will be 1 winner per location that I will pick. The winner will get a copy of Scott’s Digital Photography Book Vol. 3 . The big news though is this — Scott Kelby will be picking the top 10 (Honorable Mention) photos from ALL the walks as well as the GRAND PRIZE winner. Have you seen the list of prizes? Wow it is indeed gear lust: Nikon D700, Drobo, OnOne Plugin Suite, NAPP Membership, and a lot more!!! Make sure to read my blog post on checking your logins and downloading Lightroom 2 prior to the walk. Our restaurant: Kitchen, is asking if we can pre-order the food so that they can prepare for our group. In line with this, I will be posting a listing of the food they have here. However, in case you know what you want, please feel free to email me your orders. I will take care of consolidating the orders and giving it to them. Thanks and see you all in 2 weeks! In case you have questions, please post them here and I will get back to you.